The parable of the vine and its branches is a rich passage that Jesus used to explain four functions that are part of our union with Christ. Some people think this parable conveys something of the substance of the relationship of the branches and the vine, but this causes an interpretive issue that is inconsistent with the rest of scripture. This is a sermon I preached last Sunday which explains 4 functions of our union with Christ that Jesus explains using this parable. John 15 is the beginning of the second part of what is sometimes called the upper room discourse. The first part begins when Judas leaves the upper room in John 13:31 and concludes when Jesus leads the disciples away from the upper room in John 14:31. The backdrop for this parable is Jesus’ explanation of the coming of the Holy Spirit in John 14:15-21, which is a foundation passage of our union with Christ. The parable of the vine and its branches (John 15:1-10) is an illustration intended to help us understand how this union will function once instituted at Pentecost. There are four functions related to our union with Christ that we find in this parable. 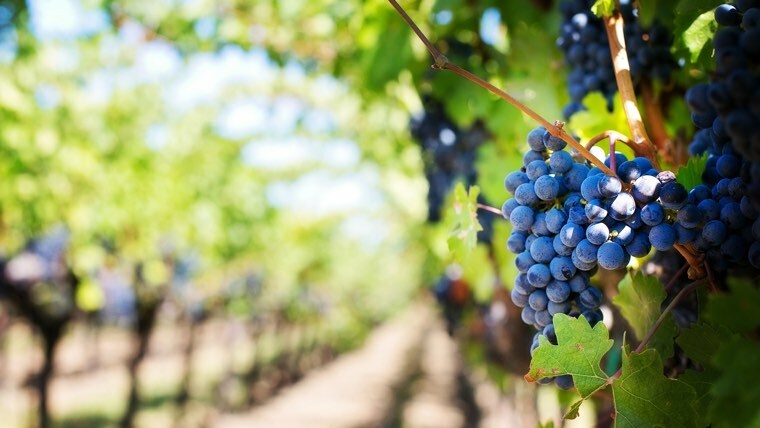 With the focus on the fruitfulness of the vine, the vinedresser isolates the branches into two groups: those bearing fruit and those not bearing fruit, and he treats each of them differently according to his main goal, which is to multiply the fruit of the vine. Even after salvation, we cannot do anything good without Christ, since all that is in us is our flesh, which we retain even after our salvation. Paul acknowledged this saying, “I know that nothing good dwells in me, that is, in my flesh” (Rom 7:18). What we need is the life of the vine to produce in us His fruit. We are dependent on Christ to cause us to grow and become fruitful. In this parable there is only one verb or command that we are to obey, and this is found at the beginning of verse 4 when Jesus commands simply, “Remain (or “Abide” in many English Bibles) in me and I in you.” Here we have both a warning and an encouragement. The command to remain is repeated and elaborated at the end of verse 9, when Jesus commands them to “remain in my love.” In verse 10 he explains that if we keep His commandments, we will remain in His love. This aligns with John 14:15, 21 which both connect love for Christ with obedience. From this we can conclude that to remain in Christ means to love Him and obey Him. This passage is a warning against fruitlessness. God looks at the heart of man, from where all our deeds come (Mark 7:20-21) looking for obedience to the desires of the Holy Spirit rather than obedience to the desires of the flesh (Gal 5:17). We would do well to examine ourselves to evaluate our fruitfulness to see if we are in the faith, or whether we wear a facade. We also have an encouragement, since from this parable we learn clearly that the pruning (literally cleansing) that the vinedresser performs is focused on fruitfulness. For this reason, when life as a follower of Christ gets hard, we can continue to have confidence in the vinedresser since He wants fruitfulness, and is working to bring this about through the difficulties of life. In this way, good comes from bad circumstances (Rom 8:28). The union we have with Christ is the means by which we are transformed, and this comes about for the glory of God. Yet it also requires effort on our part to love and obey Christ. We cannot have a relationship with the Father without obeying Christ, and we cannot obey Him without loving Him and we cannot love Him without His life in us.